A new passenger carrier created with the help of Chinese investors is stemming in Georgia. 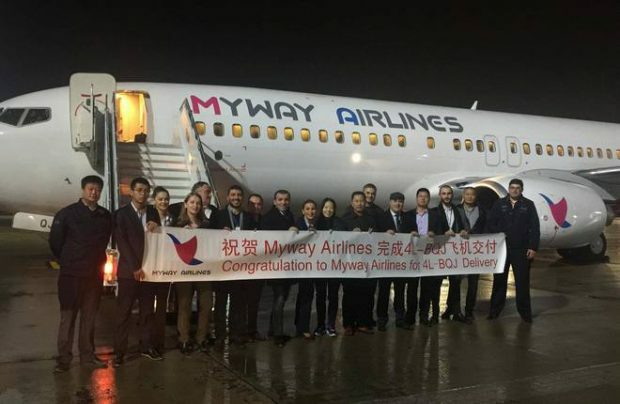 The country’s Civil Aviation Agency has confirmed to Russian Aviation Insider that the carrier Myway Airlines, founded by China’s Hualing Group, has resumed the process of acquiring its Air Operator Certificate. The airline will be based at Tbilisi airport. The Georgian aviation authorities said that the formalities including due diligence procedures and final decision should not take more than 180 days. This marks the second attempt to launch the airline. The first attempt ended in the certification process being suspended in October 2016 by request from the airline due to change of plans for aircraft acquisition. As of now Myway Airlines has already registered two Boeing 737-800 aircraft in Georgia – 4L-MWA and 4L-BQJ, which were delivered to the carrier on October 17 and November 10. Both aircraft built in 2007 were previously operated by China’s Shandong Airlines. Hualing Group positions itself as the largest investor into Georgia’s forestry sector. It is also creating a free industrial zone in Kutaisi and is involved in construction business both in this city and Tbilisi.